We've had so many incredibly touching moments and exuberant responses to Deborah Underwood's INTERSTELLAR CINDERELLA. It really seems to have hit a chord, especially on sites like A Mighty Girl and Amy Poehler's Smart Girls. Happily, people are really into subverting old messages about what girls can do and what they should expect! You likely won't be surprised, then, when I tell you that a companion book is now underway! Melissa Manlove at Chronicle has scooped up READING BEAUTY and again brought in illustrator Meg Hunt. This time Sleeping Beauty's spindle and pricked finger are replaced by books and paper cuts, but Beauty and her faithful dog, Prince (who "truly loves everyone"), are determined to break the curse and bring books back to the kingdom again. 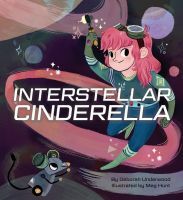 READING BEAUTY will have a futuristic setting to match INTERSTELLAR CINDERELLA. Melissa also signed a second book in this deal. Back when I first signed Ann Braden as a client, I knew she had great vision, but I'm so happy to report that I underestimated her. Ann's vision is astounding and thank goodness , we get to witness it. Ann Braden is out to change the world. And her debut book is just the first, I'm sure, of many opportunities for all of us to see it. So excited to announce this lovely deal and to give notice: Ann Braden is on the scene. And reading gatekeepers—parents, teachers, librarians? Kids who want a writer who tells the truth? Get ready. Ann Braden's ZOEY AND THE SCREAMING MONKEYS, the story of a girl trapped in the realities of poverty in a trailer park, and used to being counted out, who has to find her voice, and discovers that what others think has nothing to do with how strong you actually are, to Becky Herrick at Sky Pony, for publication in Fall 2018, by Tricia Lawrence at Erin Murphy Literary (World English). Second star for HELLO GOODBYE DOG! Maria Gianferrari's HELLO GOODBYE DOG (available now!) just received its second starred review, this one from Shelf Awareness! "Effortlessly inclusive, Gianferrari and Barton's creative Hello Goodbye Dog becomes an inviting mirror or window for any child, welcoming every reader in." We're celebrating two wonderful new releases this week - Carrie Clickard's MAGIC FOR SALE and Maria Gianferrari's HELLO GOODBYE DOG! Congratulations to you both! A starred review for THE ANTLERED SHIP! Huge congratulations, Dashka! We cannot wait for this stunning book to release in September! I don't know how she does it, but Susan Vaught just keeps coming up with lovable characters in desperate situations. Her latest middle-grade mystery novel, SUPER MAX AND THE MYSTERY OF THORNWOOD'S REVENGE, will be out August 29, and now she's busy writing the next one, ME AND SAM-SAM HANDLE THE APOCALYPSE, which I have to say, I think is going to be her finest book yet, and that's saying a lot. The "me" in the title is Jesse, a girl whose mother is serving in Iraq, whose father has just been accused of a crime and hauled off to jail, whose pipsqueak Pomeranian, Sam, she is training to sniff for bombs like her mom's Army dog, and who has never had a friend before—until now, when new kid Springer turns up in Jesse's secret clubhouse, despite the "keep out" sign written in blood-red, dripping nail polish. Jesse is quote-on-the-spectrum-unquote, as Springer puts it—and Springer himself seems to have a lot in common with Jesse, even if his dad just sees him as weird and undisciplined. For me, personally, as I read the samples chapters, seeing Jesse recognize herself in Springer and hand him her own coping tools, and seeing him relax and trust so quickly, was incredibly powerful. But this isn't the whole story! Woven into the storyline I've described (which includes trying to figure out who DID steal the money Jesse's dad is accused of taking) is the storyline that starts a week later—when their town is flattened by a tornado. I could be wrong, but I think Sam's sniffer-training is going to come into play here. 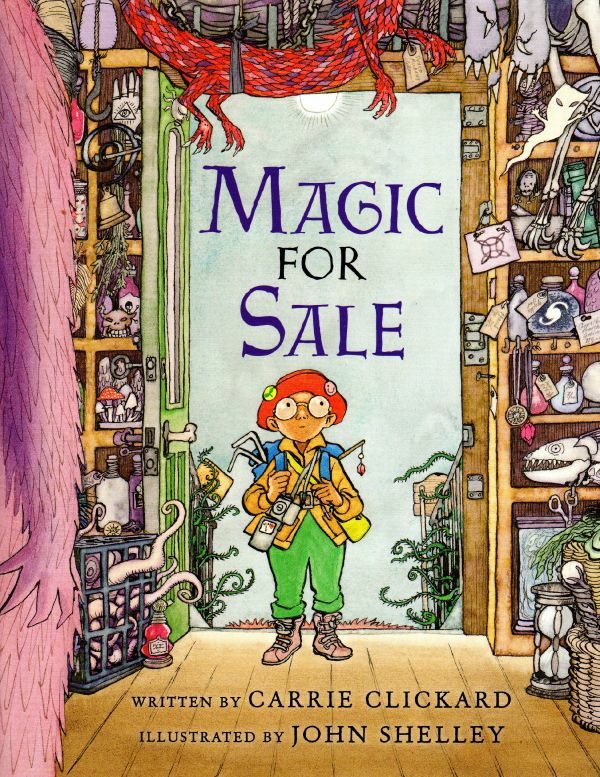 Sylvie Frank at Paula Wiseman Books, who has published all of Susan's middle-grade novels, has signed this one up as well, and it's slotted for a spring 2019 release. 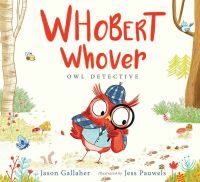 Jason Gallaher's WHOBERT WHOVER, OWL DETECTIVE is here! Please join us in welcoming this wonderful book to the world. Huge congratulations, Jason - we are so thrilled for you and Whobert! 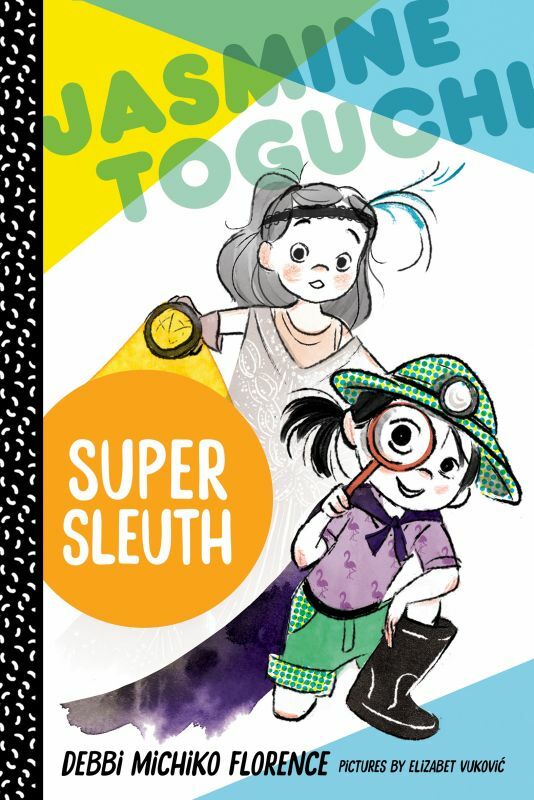 We are so excited to celebrate the release of Debbi Michiko Florence's JASMINE TOGUCHI, MOCHI QUEEN and JASMINE TOGUCHI, SUPER SLEUTH today! We absolutely adore this chapter book series. Congratulations, Debbi! 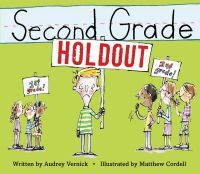 SECOND GRADE HOLDOUT is available today! We're so happy to celebrate the release of Audrey Glassman Vernick​' SECOND GRADE HOLDOUT today! Congratulations, Audrey!